The Black version is a wooden mug expressed by a lacquer design inspired by Takayama Jinya. It is carefully finished one by one by Hida Takayama craftmen. 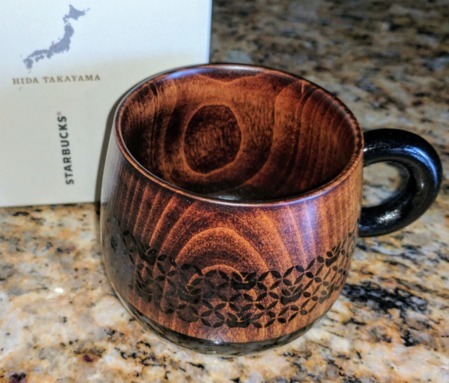 Each wooden mug in this set is carefully finished by hand, one-by-one, by Hida Takayama Craftsmen. The mug's purpose is to connect with the skills and feelings of craftsmen included in the design.